A waiting list will begin in the lobby at 6:30 p.m. the evening of the event for any tickets that happen to become available. 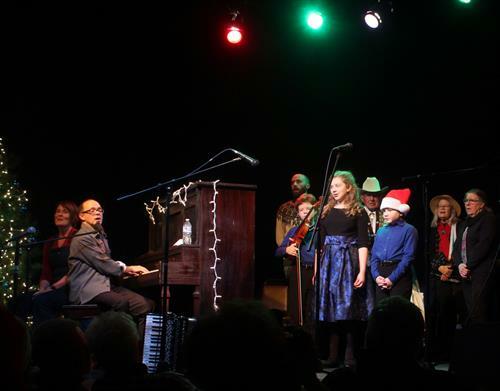 An annual Lanesboro institution, Twin Cities-based accompanist, writer and vocalist Dan Chouinard is celebrating his 12th year leading the Old-Fashioned Holiday Sing Along on Friday, December 21, 2018 at 7:30 p.m. at the St. Mane Theatre. Dan will host the evening, with his fantastic piano and accordion playing, gentle spirit and genuine appreciation for sharing stories and songs with the audience. 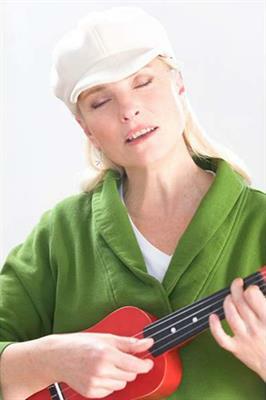 As a treat for the audience, Dan has invited special guest Prudence Johnson to perform on stage as well. 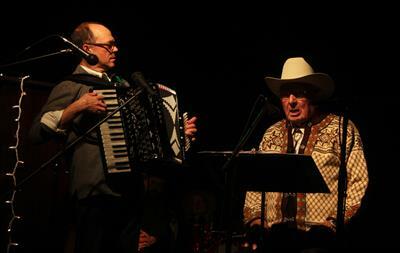 Johnson and Chouinard have a long history of musical collaboration with one another. 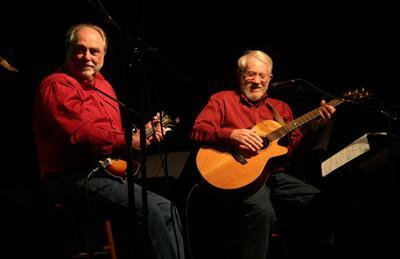 The pair brought their musical history tour, "Minnesota in the 1920s: Flappers, Miners and Moonshiners,” to Lanesboro in 2015 and have worked together on many projects including shows and recordings exploring the life and music of Leonard Bernstein, George Gershwin, and Hoagy Carmichael. Prudence Johnson’s long and happy career as a singer, writer, and teacher has landed her on the musical theatre stage, in two feature films, (A River Runs Through It, A Prairie Home Companion) national radio, (several long stints on A Prairie Home Companion) and on concert stages across North America and Europe. 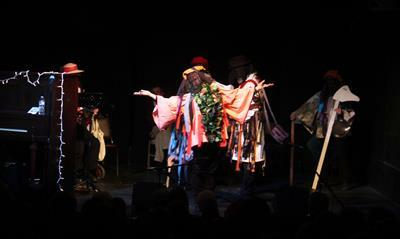 Chouinard's special guest at the 2009 Holiday Sing Along, Johnson also staged her show "A Girl Named Vincent” at the St. Mane Theatre in 2011, which brought to life the poetry of Edna St. Vincent Millay, and provided musical entertainment at Lanesboro Arts' fall fundraising gala from 2011-2015. 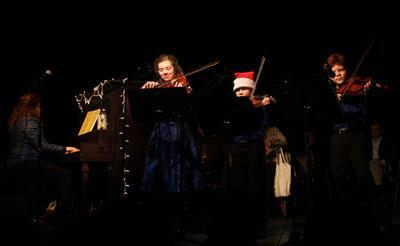 As Chouinard told the Star Tribune last fall, “Among the things that give me joy is the element of participation.” As such, Chouinard will welcome local talent to the stage during the Holiday Sing-Along! The 2018 show will feature Tom Schramm and Walter Bradley, Bertram Boyum, Damon and Peighton Prestemon, Julie Kiehne and Carolyn Freese, the Ekstrom Trio, and Bebe Keith, Laura Nelson, Laura Peter Sholtz & Bill Swanson. 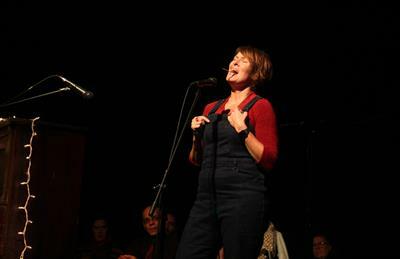 Interested in participating on stage? Contact Program Director Adam Wiltgen via e-mail at adam@lanesboroarts.org or by phone at 507-467-2446. 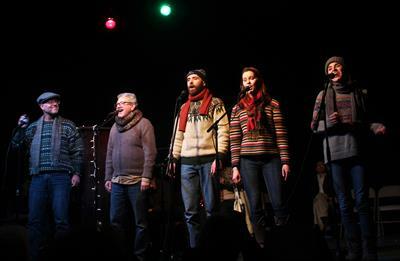 The Holiday Sing Along is presented by Lanesboro Arts and sponsored by the Commonweal Theatre, Inspire(d) Magazine, High Court Pub and Granny's Liquors. Tickets are going fast! The cost is $15, or $12 LA members, and they are sold online at www.lanesboroarts.org; at the Lanesboro Arts Gallery, 507-467-2446; and — if there are any tickets left! — at the St. Mane Theatre box office beginning at 6:30 p.m. the night of the event. The St. Mane Theatre is located at 206 Parkway Avenue North in Lanesboro. Friday, December 21st at 7:30 p.m.
Tickets are going fast! Order today!